Barcelona will reportedly look to sign a forward in the current January transfer window following the confirmation of Munir El Haddadi's departure to Sevilla. The 23-year-old's contract was due to expire at the end of the season, and was sold to the club's La Liga rivals for just €1m on Friday evening. Munir's departure has led to increasing speculation that the Catalan giants could pursue a move for another forward to replace the Spaniard. Now, on his personal Twitter account, journalist Alfredo Martinez has confirmed ​Barcelona's intentions in the remaining weeks of the window. He said: "It is already OFFICIAL the transfer of Munir to Sevilla for €1,050,000. 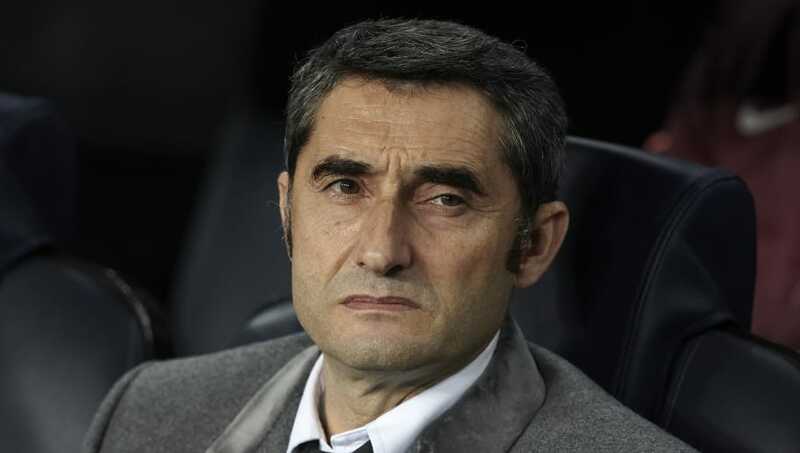 Barcelona will look for a forward in the winter market." In recent days, Ernesto Valverde's side have approached ​Chelsea over a potential deal to sign Brazilian winger Willian. The​ La Liga side had reportedly seen three bids turned down for the 30-year-old in the summer, with their last offer in the region of £55m. Blues manager Maurizio Sarri indicated in his pre-match press conference, ahead of Chelsea's match against Newcastle, that any potential move away from Stamford Bridge for Willian would be 'impossible'. Sarri said (as quoted by ​Sky Sports News): "As you know, Willian for us is very important.